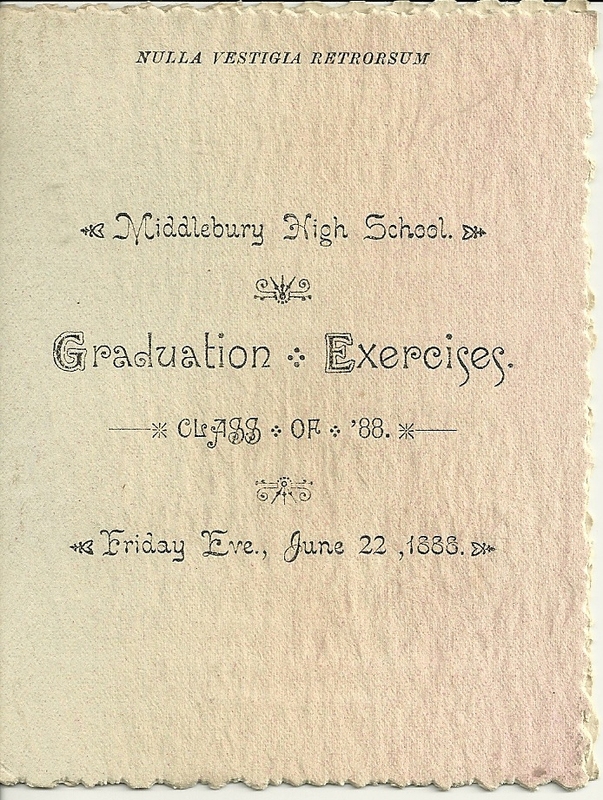 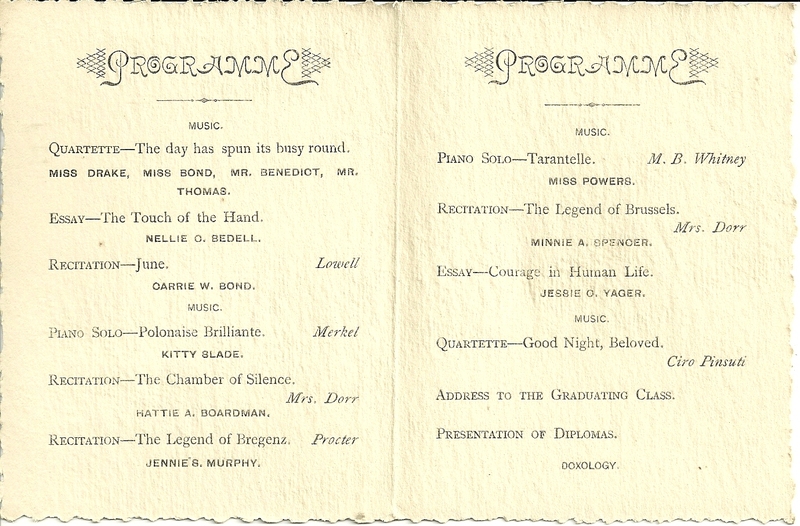 Middlebury High School Graduation Exercises, Class of '88, Friday Eve., June 22, 1888. I found a few of the names inside in the 1880 Census of Middlebury, Vermont, so I'm working on the assumption that this Middlebury High School is in Vermont. 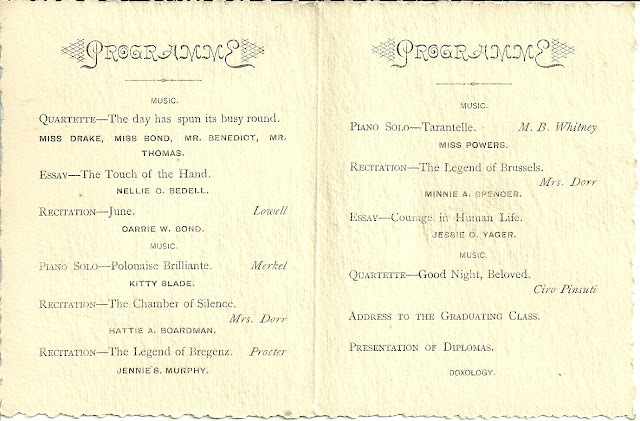 QUARTETTE - The day has spun its busy round.